Hughes Landscaping provides affordable and professional landscaping services and guidance, as well as expert landscape installation services and design for both residential and commercial properties in Colorado. To see a sampling of our work, browse our landscape portfolio. A landscape plan and design that is well thought out will not only boost the aesthetic quality of your property, but can also add to the property's usability and value. Correctly designed and properly installed landscaping will give you years of enjoyment, provide visual interest and increase the value of your property by establishing the right plants in the right place. After your landscape project is complete Hughes Landscaping is able to maintain your yard throughout the year. Whether you need a spring and fall yard clean-up, mowing and fertilizing during the growing season, sprinklers turned on and shut off, or the weeds need to be controlled, we will be there for you. You can count on our maintenance team to keep your yard looking its best. The Sod Guy is a family owned and operated business. Owner of The Sod Guy, Kurt Hughes, started a landscaping business over 20 years ago. Proven to be successful in landscaping, he decided to make sod more readily available at a reasonable price to the homeowner. Kurt created The Sod Guy in 2002 and has continued his success in the landscaping industry. 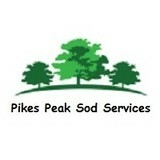 We work hard to stay competitive by offering the lowest price on sod in the Denver Metro area. Call us today and we will help you turn your yard green ! The Sod Guy is a proud member of the Better Business Bureau. 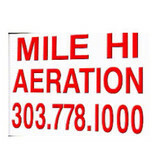 Alpine Ridge Lawn Care LLC was started back in 2013. Although the company may be young the goals and attitude are a different story. Each day we strive to learn and continue our efforts bringing the best possible service to your home. Clean Air Lawn Care Stapleton is a full-service sustainable and organic lawn care company for residential and small commercial properties. By working with Clean Air Lawn Care Stapleton you choose a lawn-care service that cares for the health of your property, your family, and our environment. We use quiet, emission-free solar-powered lawn mowers and organic fertilizers. We work with the unique needs of your yard to bring you the most beautiful and healthiest lawn in the neighborhood. Contact us for a free estimate and let us show you how your lawn can look! Do you get yard envy when you see your Peyton neighbors’ lush garden, and bemoan your lack of a green thumb? If you want a bountiful yard without doing a bounty of yard work, hire a gardener in Peyton, CO! From lawn maintenance to plant cultivation to weeding to general landscaping, Peyton, CO gardeners have the expertise and experience to create an abundant garden for you that will be the cause of neighborhood yard envy! In addition to the maintenance side of gardening, Peyton, CO gardeners can help you with garden design and choosing specific plants and grass types for your climate and area. Find a Peyton, CO gardener on Houzz. Narrow your search in the Professionals section of the website to Peyton, CO gardeners. You can also look through Peyton, CO photos to find examples of yards that you like, then contact the Colorado contractor who worked on them.